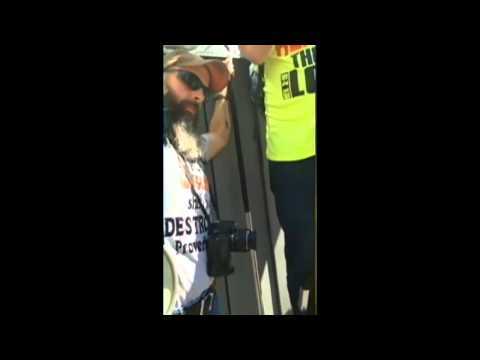 In this 3 Minute amateur video taken at the Pittsburgh Pridefest, we see members of the gay community in a spirited debate with biggoted religious protesters who showed up to preach "the word of god." In the video we see Pittsburgh Police Officer Sourouth Chatterji, a 2 year officer and military veteran standing off to the side of the protesters with his arms crossed. Near the end of the video we see Chatterji come thru the crowd to grab Ariel Lawther (22 years old) for an unknow reason, throw her down to the ground, and when she stands up, Officer Chatterji begins to punch the woman and arrest her for what he claims is aggravated assault, and resisiting arrest. The video doesn't show any of these supposed criminal acts, but Chatterji maintains in his criminal complaint that Lawther was fighting with these biggots earlier in the day and during her arrest began to punch and kick him in the groin causing the officer to "fear for his own safety" warranting the use of excessive force to distract the woman so he could subdue and arrest her. Pittsburgh Mayor Peduto has launched an investigation into the incident as well as The Pittsburgh Citizen's Police Review Board. Officer Chatterji has been placed on 30 day desk duty pending the investigation. Friends of Catterji on Facebook told me they don;t appreciate a decorated military officer being insulted in the media, but this video clearly speaks for itself. Miss Lawther doesn;t have an attorney at this time and has not responded to requests for comments. The teenage amateur videographer who shot this video had no comment on the subject following giving (or selling) this video to local tv staions KDKA, WPXI and WTAE. This is yet another Pittsburgh police incident in a long line of documented patterns of Police Misconduct. 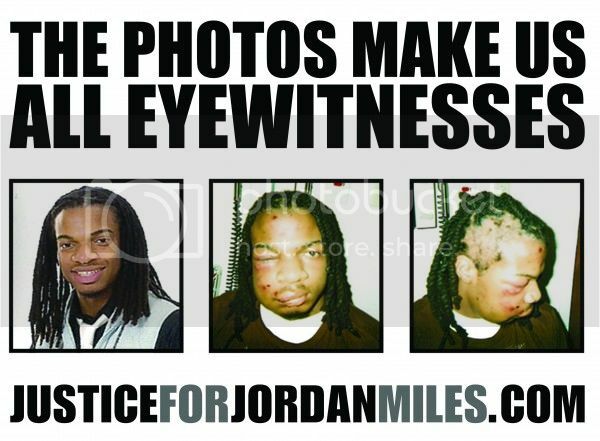 The word went out, in wire service agency news reports that reach every corner of the earth, that there was at least partial justice for Jordan Miles, the now-22-year-old victim of police brutality on the day after his 18th birthday in 2010. Following the lunch break and two hours of defense closing arguments, Joel put his arm around Jordan Miles, giving the young man a pep talk, followed by an intense look of mutual admiration and respect. They smiled at each other, shook hands, then took their place at the plaintiff’s table. Sansone would deliver to jurors a 2-hour-long emotional plea, as well as attacking the defense’s case. “‘I’ve been arrested. I don’t know why. I’ve been beaten and I don’t know why.’ The words of an 18-year-old boy to his mom on the phone from jail. Those words will forever ring in his mother’s ears,” Sansone began. “Are you confused by what the defense told you? I am,” Sansone told jurors. “I’m disappointed in James Wymard for one mistake he made,” Sansone told jurors. “He has no idea what anyone told a grand jury four years ago because no-one does. As Judge Cercone told you, those records are sealed, and no one has access to them,” Sansone continued. “Each one has mistaken the facts,” Sansone told jurors while pointing at the defense and their lawyers. Sansone would switch to a brief history lesson and why the Fourth amendment is one of the most important amendments in our bill of rights. “Let’s review the evidence of the wrongdoing of these men,” Sansone said again, motioning toward the three defendants. “Homewood is not a denizen of criminals… people live there, shop there, go to church there,” Sansone said. The morning started normally enough. It was the day of closing arguments but no one expected what would transpire between James Wymard, Bryan Campbell, Robert Leight and Joel Sansone over seven hours. Joel Sansone sat in the empty jury box before the opening of court, quietly reflecting and getting ready to argue for Jordan Miles. 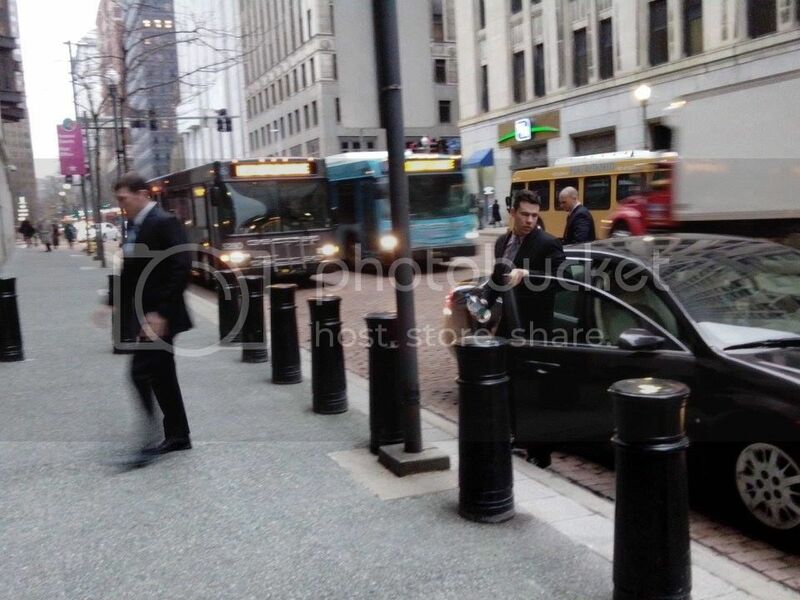 He briefly stepped out before court began, to joke with media that they weren’t reporting how good he looks. Mainstream and independent media sat quietly chatting with one another and speculating on how long deliberations would take. At 9:30 a.m., Judge Cercone’s tiny courtroom became Sparta for seven hours as both sides aggressively fought and argued for their clients. The tenth day of the Jordan Miles trial opened up with yet another lengthy sidebar meeting between Judge Cercone and the attorneys for both sides. Officer Sisak quietly sat in his chair reading his book on bee-keeping, as former Jordan Miles friend Ryan Allen and his court-appointed attorney quietly whispered in each others ears as they sat in the court gallery. Ryan Allen would finally take the stand at 9:55 a.m. to a barrage of bullying questions from defense attorneys James Wymard and Robert Leight. 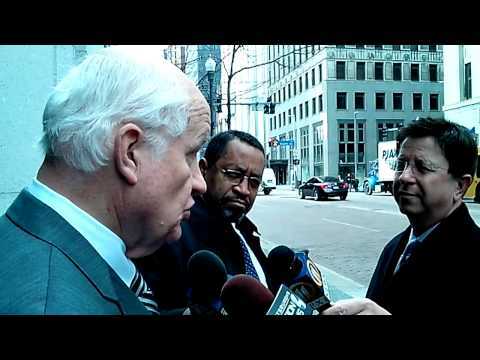 “Did Jordan Miles tell you what he had on his person on January 12, 2010?” Wymard would ask. “I can’t recall.” Allen replied. In his 40-minute-long testimony, Allen would maintain that he couldn’t recall what Miles had told him, what he told the FBI in their investigation, as well as what he told a grand jury convened in 2010 to investigate the incident between Miles and officers. Despite being handed copies of his statements, Allen couldn’t recall a single detail aside from acknowledging that he remembered meeting with the FBI. Jordan Miles resumed giving his testimony during his cross examination that continued over from Thursday. Attorney Jim Wymard, representing officer Sisak, continued to bully Miles on the stand, insinuating multiple story changes from Miles over the years, in different depositions and testimony. 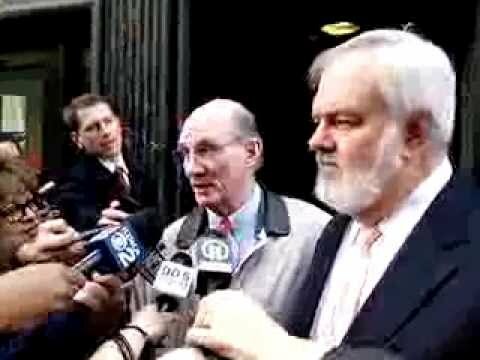 Members of the Pittsburgh media began the morning quietly discussing the Judge’s gag order preventing lawyers from both sides from talking to the press. 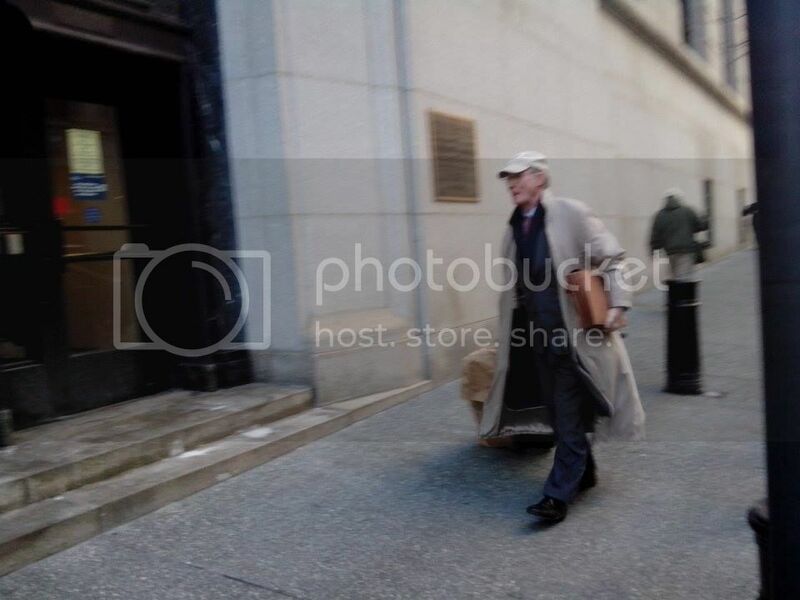 Everyone agreed that the aggressive media updates from the first two weeks prompted Judge Cercone to order all parties to stop speaking to media for the duration of the trial. Wymard would continue to try to slip Jordan up into admitting that he knew the defendants were police all along, while asking the same questions he asked during Thursday’s initial cross examination. Within the first ten minutes of Jordan’s testimony today, Joel Sansone had objected over a dozen times to the line of questions, and several arguments erupted between attorneys and Judge Cercone. Wymard would once again introduce multiple pictures of an old MySpace profile of Jordan’s where he dubbed himself “Bulky J”, to try to convince jurors that Miles wasn’t as weak as everyone thinks. 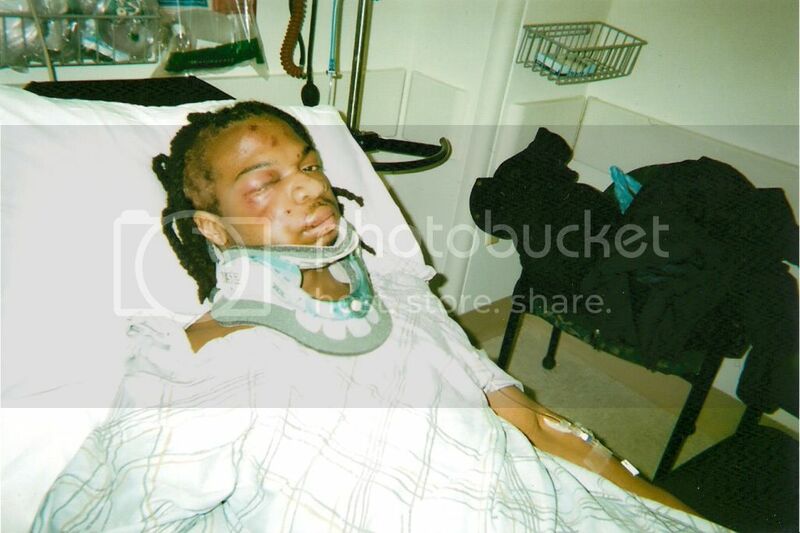 Wymard even asked Jordan if he was trying to “prove how tough he really was” to the officers back in 2010. “My pictures have nothing to do with that, sir.” Miles would tell Wymard. An interesting and irrelevant question from Wymard was posed to Miles, inquiring about what a “gang banger” is, and if Miles was aware of a gang war between the Hilltop Bloods and the Race Street Crips in Homewood. A Drastic change in pace from yesterday's court proceedings. Officers Saldutte, Ewing and Sisak arrived early in their tax payer funded undercover police vehicle drop off, and being whisked away past security, The Miles family humbly entering the courthouse, and going through security. 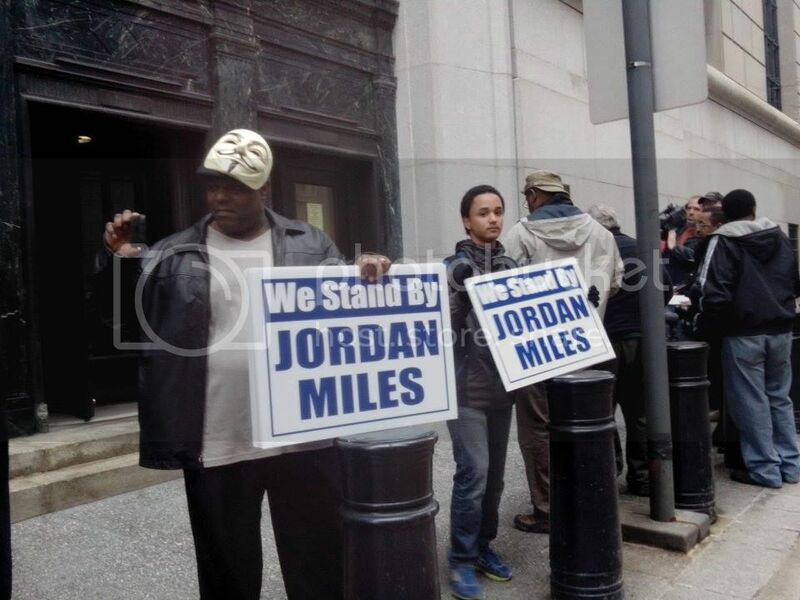 Limited seating was available in Juge Cercone's courtroom as dozens of MIles supporters packed the courtroom as well as stood watch outside the courthouse holding signs reading "We Stand with Jordan Miles." The first witness called this morning was Therez Miles, Jordan's Mother. Therez would testify to being a lifelong resident of Homewood, How she was verbally, sexually and physically abused early on in life, but would make a humble life for herself. She would testify that despite the defense's contention, she found her neighborhood in Homewood to be a safe one. Therez inform the jury that before his altercation with the officers, Jordan loved music. He loved to play his viola....The same viola he would once use to play for the first lady Michelle Obama during Pittsburgh's G20 Summit. Therez shared with the courtroom that Jordan had plans to go to college when he graduated high school, that he was a very religious teen, well loved and respected by many. Following the incident with police, Miss Miles would tell the jury that Jordan rarely plays his Viola anymore, which makes his family sad. Jordan doesn;t go to church much or even read his bible anymore, that he is withdrawn from family and friends, and spends the majority of his time alone in his room. She described how Jordan dropped out of college due to anxiety and depression, that once he couldn't wait to get out on his own, but after the altercation with Sisak, Ewing, and Saldutte, Jordan became homesick. Arguments, outbursts, defiance towards the plaintiff, and racist testimony today. Officer Michael Saldutte took the stand and immediately began arguing with Miles attorney Joel Sansone over statements he made to the FBI in 2010, as well as to the OMI. Sansone tried to warm up by lightly discussing Saldutte’s background in martial arts, Krav Maga, his being an instructor in law enforcement pressure point tactics, and his involvement in powerlifting and submission wrestling competitions. This prompted mass objections by the defense and a side bar, but Judge Cercone let Sansone continue. Saldutte became enraged and belligerent after a few questions, prompting Judge Cercone to order the officer to answer the questions. As Sansone’s examination of Saldutte continued, the officer began demanding and ordering Jordan’s attorney to be more specific in his questions, to stop twisting his words, and allow him to elaborate on simple yes or no questions with a bunch of information that was not needed. Saldutte eventually began complaining to the judge on the stand about the line of questioning and began a heated argument with Sansone from the stand. Sansone, also heated at this point, began to ask Officer Saldutte about his statements to the FBI. Saldutte would spend the next two hours complaining that the FBI got it all wrong. Sansone then began reading Saldutte his own statements to the FBI, regarding how he enjoyed undercover duty because it was less risky than uniformed duty, and that being on a 99 car detail gives officers the advantage of getting as close as possible to subjects without being detected. The officers’ version of events and credibility were once again challenged today by attorney Joel Sansone. Sansone would next question Ewing about testimony Officer Sisak made earlier last week, in regards to Miles standing up with Ewing wrapped around his back trying to take Miles down. Ewing claimed he didn’t remember that testimony from days ago, and that what Sisak described never happened. “He was laying down. He had tried to get up, but I was never wrapped around his back,” Ewing testified. Further evidence from the OMI investigation and report was discussed today, revealing that one OMI investigator had questioned why it took three large officers to subdue Miles. The OMI report went on further to state that Sisak believed that Miles was in a cocaine-induced delirium, which made him too strong for the officers to initially take down. “There’s only so many words you can use to make people understand what happened,” Ewing testified when asked why his police report of the incident used so many buzz words. “But you testified previously, as has officer Sisak, that you knee-striked my client several times in the head as hard as you could,” Attorney Sansone fired back. “It was a knee strike and yes, I hit him as hard as I could,” Ewing continued. Another heated day in Miles v. Saldutte, Et al. Starting the day, the plaintiff called police defendant David Sisak to the stand. A unique aspect of civil lawsuits in federal court is that the plaintiff may call a defendant in the case. 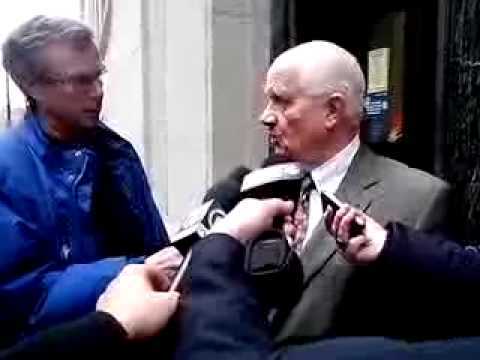 Attorney Robert Giroux hammered Sisak over multiple inconsistencies between the police report filed the night Miles was arrested, the FBI investigation made by Sisak, as well as his statements to OMI (Office of Municipal Investigations….aka Pittsburgh police’s internal affairs department). Much of what Sisak was questioned on today was not brought up at the first trial, and is very new to the public and media. During the first trial (insert link from Sisak’s testimony last trial) Sisak would look at the jury, smile, wink, and shrug at them when asked questions he didn’t like. Sisak tried the same tactic with this new jury, but with Robert Giroux hammering him on inconsistencies and a phantom Mountain Dew bottle, Sisak was very much on the defensive. “I thought he had a gun. My only option was to punch him or shoot him… I didn’t want to kill him,” Sisak testified. 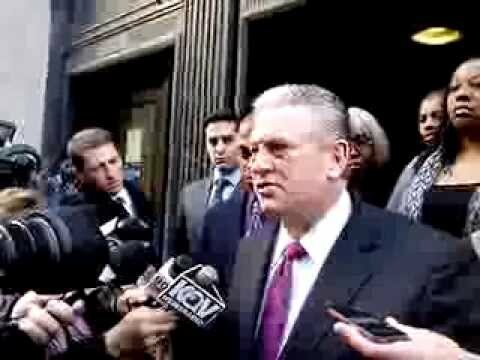 “Don’t kick him for real, Judge Cercone joked, based on the heated exchanges between the lawyer and the officer. After the demonstration Giroux picked up a pen that fell out of Sisak’s coat. “Guess we know how you lost your handcuffs now,” Giroux remarked. “Did you see Jordan Miles doing anything wrong when you first saw him?” Giroux asked. “I didn’t see him doing anything except walking,” Sisak replied.